Daily deals company Mighty Deals asked me to inject some personality to their web product descriptions, which range from holidays and activity days to furniture, fashion and gadgets. I turned around batches of amusing yet descriptive product copy at very short notice due to the nature of the limited-time offers. 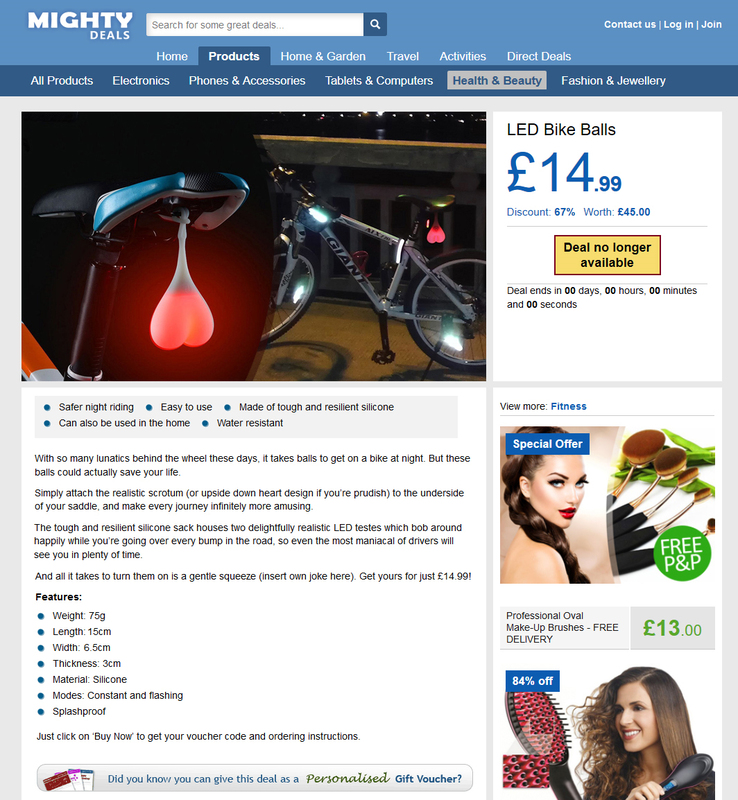 And it was novelty items like these LED Bike Balls where I had the most fun. I wrote up to four succinct paragraphs in a tongue-in-cheek tone that accurately but humorously described each product’s main benefits, before leading into a list of features.